Is Canned Air the Future of Canned Goods? It’s a blistering hot day in China. A CEO ends his conference call, opens his desk drawer, and pulls out a can with a strange nozzle on the top. He pops the plastic top off and presses down on the nozzle as he holds it to his face, then takes a deep breath as cool, fresh Canadian air fills his lungs. It’s like a scene out of Spaceballs, the 1987 Star Wars parody by Mel Brooks, where fresh air is in short supply. But unfortunately, in some parts of the world, fresh air really is becoming more and more scarce. That’s why two Canadians from Alberta have decided to start bottling and selling their fresh mountain air across the world. There’s more demand for canned air than you might think. Beijing 2005. After rain (left) and smoggy day (right). 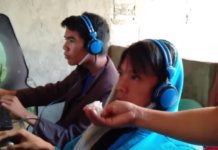 Moses Lam and Troy Paquette first realized that Canadian air was a lucrative product when they sold a Ziploc bag filled with air on eBay for $168 USD. Their company, Vitality Air, has been trying to package and deliver air across the world ever since. For a price, of course. The pair have reportedly made over $300,000 in annual sales in the South Korean market, and expect to hit shelves in China, India, Vietnam, and Dubai soon. It makes sense. According to the Chinese Ministry of Health, industrial pollution has made cancer the leading cause of death in the country. A 2015 study by Berkley Earth found that an estimated 1.6 million people in China die every year from air pollution – that’s about 4,400 people a day. It’s no surprise then that a few breaths of fresh, Canadian air can be worth some money. A variety of canned air. 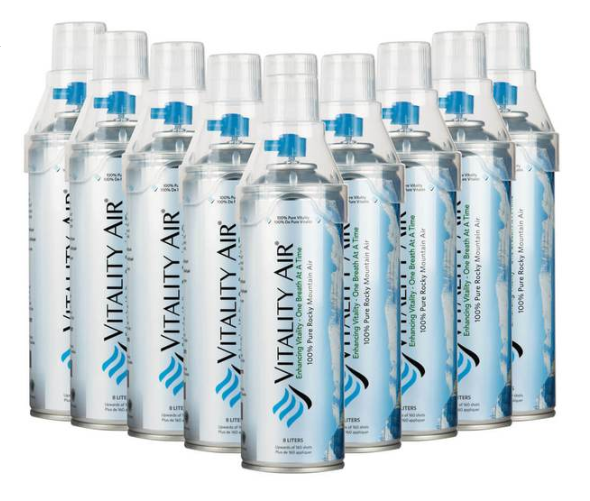 Screenshot from vitalityair.com products page. If you want a bottle of Vitality Air, you’ll have to choose a flavor – Banff or Lake Louise. Each bottle comes with a mask to breathe its contents effectively, and contains about 160 one-second breaths. Each can costs about $30 plus shipping, which evens out to 20 cents a breath. 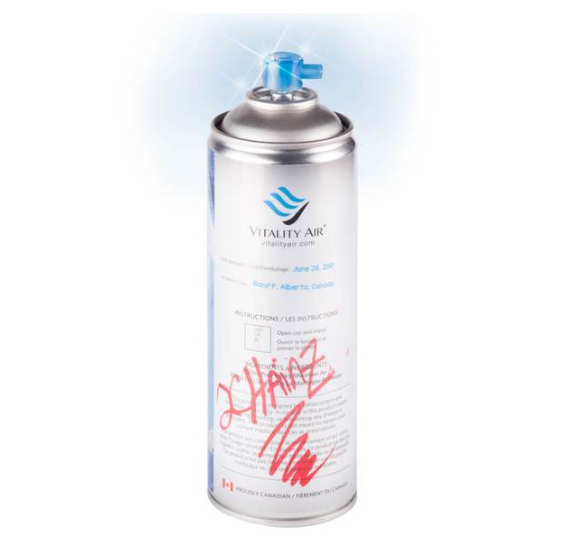 Vitality Air also offers canned oxygen in a variety of flavors like strawberry and rootbeer, as well as a water mist spray (with the option of sulfur-enhanced mist). Banff Air with Diamond, signed by 2chainz – on sale for $18,500. Screenshot from vitalityair.com product page. For the eccentric millionaire, they also offer a “Banff Air with Diamond” which comes with three 0.10 Carat diamonds engraved in the can. If you really want to shell out some cash, you can even get a Banff Air with Diamonds that’s been signed by rapper 2chainz. It’s currently on sale right now and will only set you back a cool $18,500. That’s $1,500 off the original price. The air market is growing. This means that Vitality Air is setting themselves apart by taking advantage of their location. Banff National Park had over 4 million visitors in the 2017/2018 season alone, and plane tickets to Banff usually cost hundreds of dollars per person. If you can’t make the trip, you can at least bring the essence of the Canadian woodlands to your home or office — all for a fraction of the price. We’ll be monitoring this new market to see how it balloons.